On Friday night I visited the Jupiter casino next to the Nerang river on the Gold Coast in Queensland, Australia. 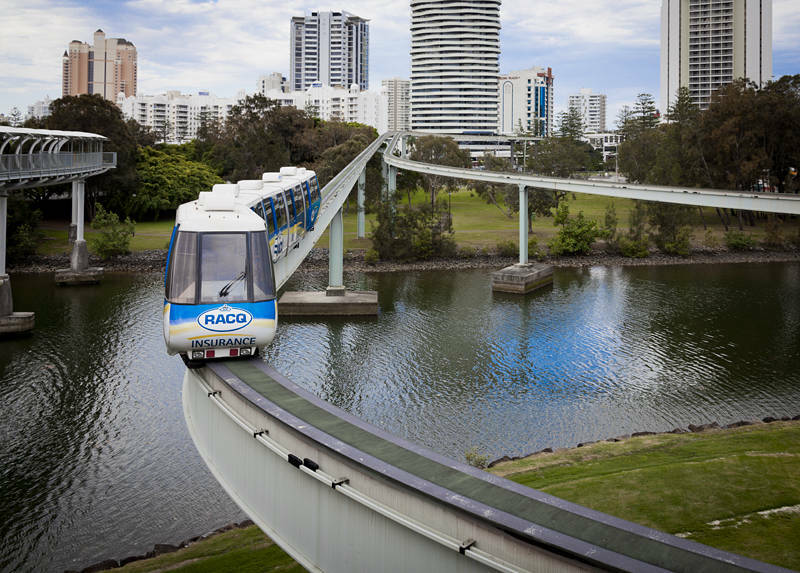 This monorail connects the casino, hotel and shopping centre. Another light rail service has recently started connecting Broadbeach, Surfers Paradise and Southport.